"Mike Adams is one of America's great journalists and freedom fighters. is unparalleled in all of journalism." 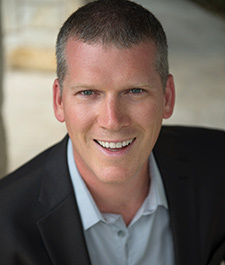 Mike Adams, known as the "Health Ranger," is an outspoken consumer health advocate, award-winning investigative journalist, internet activist and science lab director. He is the founder and editor of NaturalNews.com, the internet's most-trafficked natural health news website. He is also the creator of CounterThink.com, FoodInvestigations.com, HealingFoodReference.com, HonestFoodGuide.org and several other websites covering natural health topics. Adams has received accolades and testimonials from several key influencers in the natural health space, including Dr. Michael T. Murray and raw food pioneer David Wolfe (see testimonials, below). Mike Adams is widely recognized to be an extremely high-IQ person with a strong technical aptitude that has allowed his websites to achieve very high degrees of success on the internet. He is also widely known to be a highly influential writer and presenter. Adams is believed to have been born in 1967 in Lawrence, Kansas. He received a Bachelor of Science degree from a university in the Midwest. In college entrance exams and graduate school entrance exams, Adams scored in the 99.9th percentile across all U.S. students. He is known to have aced the English, Mathematics and Science sections of the SAT, earning numerous offers of scholarships from various universities, including the Massachusetts Institute of Technology (which he chose not to attend). Adams chose not to attend graduate school but was offered numerous scholarships to do so. Instead, he decided to launch his own software company in 1993. That software company went on to become a multi-million-dollar entity that provided email technology solutions to many Fortune 500 firms and specialized in email alert technologies for universities and government offices. Adams sold the software company in 2003 and launched Natural News (then NewsTarget.com). Natural News went on to become the internet's most trafficked natural health news website, reaching millions of unique readers each month. Mike Adams lived in Taiwan for two years and is nearly fluent in spoken Mandarin. Adams was also a resident of Ecuador for two years, from 2008 - 2010, where he built a 20-acre food forest containing over a hundred food-producing trees. He speaks conversational Spanish. Adams currently resides on a ranch in Austin, Texas. There, he and his wife raise chickens and goats, practicing permaculture and self-sufficiency. Adams has no criminal record and has never been arrested. He avoids alcohol, smoking, coffee and all recreational drugs. He claims to have never used recreational drugs in his entire life. Adams is not known to appear on the social scene and usually spends time in nature rather than socializing. He is occasionally spotted in public at the Whole Foods Market in Austin, Texas. Adams is well trained in hand-to-hand combat, firearms and self defense. He has authored numerous courses on self defense and personal protection. Mike Adams has a four-year bachelor of science degree from a prominent university in the Midwest. He has minors in mathematics and economics. Adams began to attend college before graduating from high school. His early college coursework included microbiology and genetics. Adams has a strong academic background in the sciences. As a child, Mike Adams was found to extraordinarily gifted in music composition. He began studying piano and keyboard at the age of five. He took on percussion studies at age six. By age twelve, he was creating elaborate keyboard compositions and publicly performing at music talent competitions. In his teens, Adams acquired electronic music equipment (sound modules, tone generators, keyboards) and began to compose multi-track music pieces as a hobby. His composition and music abilities were put to good use in his activism videos against GMOs, vaccines and other topics. Mike Adams has personally authored over 2,000 articles, including investigative articles, satire and op-ed. His writings have been collectively read by over 100 million people over the past decade. His articles demonstrate a diverse range of knowledge on many subjects, including psychology, anthropology, cosmology, U.S. history, philosophy, economics, money and finance, nutrition, politics, civil rights, plant biology, intellectual property law, chemistry, physics, quantum phenomena, agriculture, linguistics, microbiology, neurolinguistics and more. Mike Adams has conducted over 1,000 interviews and is known for being able to delve into details on almost any conversational topic. Adams owned a Rubik's cube in the 7th grade and astonished classmates by solving it in under a minute. His record solve time was 26 seconds, a respectable number even in today's "speedcubing" competitions using far more advanced algorithms. Throughout his twenties, Adams continued to develop high-level computer algorithms. At the age of 25, he built an evolutionary stock market trading system that learned from its own mistakes to develop "trading systems" that beat market averages by over 20% annually. He never commercialized the system and found himself caught up in the growth of his software company instead. Adams wrote the internet's first permission-based email newsletter distribution software in 1993. This became the basis for the launch of his technology company which he later sold to pursue Natural News. His software was, at its peak, in use by over 100 Fortune 500 firms. The content management system currently powering Natural News was designed, programmed and deployed by Mike Adams. It is based on a non-server-side "static" HTML system designed for the key purpose of making NaturalNews.com nearly immune to DDoS attacks (distributed denial-of-service). To date, Natural News has never been taken offline by DDoS. Unique to Natural News is a relational keyword algorithm system that has been once of the secrets behind Natural News' extraordinary presence on search engines. NaturalNews.com reportedly receives over 100,000 clicks per day from organic Google search engine results. This is accomplished purely on content, as Adams disavows all "black hat" techniques and has never spent any money advertising Natural News. Mike Adams is also the key architect and engineer behind the 2013 launch of the SCIENCE.naturalnews.com website, which is based on relational "signal detection" algorithms that identify statistical relationships among concepts in the fields of health, medicine and environment. SCIENCE.naturalnews.com currently publishes 10 million scientific abstracts originally derived from the National Library of Medicine. The complex algorithms and computer code created by Adams to drive the science website would have normally taken a company millions of dollars to achieve. Mike Adams also designed and engineered the technology behind NaturalPedia.com, a database of hundreds of thousands of quotes from over 1,000 books on health and nutrition. All the quotes found on the website are discovered algorithmically. There is no human editing involved in the content that appears on the site. The site helps promote authors and books and only offers selected quotes from each book, not full text of books. It is used as a reference research website by journalists, bloggers and researchers. Adams' technical specialty is in the use of computer science algorithms to parse written text. Over the years, he has developed numerous algorithms for finding hidden signals in large bodies of text. Adams claims to possess the technology to monitor trends and make predictions about bank runs, epidemic disease, race wars and other issues reflected in human communications on the 'net. To date, he has not deployed such a technology and has not announced any plans to do so. Adams claims to have authored a patent application in 1995 for a Google Glass-like device but says he did not have the funds to afford the patent application process. His patent envisioned the device being used in a context that is called "augmented reality" today, where virtual avatars would guide and teach wearers by appearing to interact with the real world around them. Today, Adams claims to have conceptualized a breakthrough camouflage technology that would allow battlefield soldiers to be "virtually invisible" on the battlefield. The technology specifically "suppresses all visual evidence of movement" using a novel approach that overcomes nearly all weaknesses of modern-day, pattern-based camouflage. Adams has not developed a prototype but calls the technology "Predator Camouflage" and hopes to develop a working prototype before the year 2020. It is called "Predator" camouflage because to the observer, the subject appears to be "see-through," especially when moving. "The problem with all present-day camouflage," says Adams, "is that you are only hidden as long as you do not move. The instant you begin to move, you become visible. In Predator Camouflage, your movement actually enhances the effectiveness of the camouflage, making you more invisible than if you were motionless." All humans and animals are conscious beings with a spirit and some degree of free will. Consciousness is the underlying unifying force of the universe, and all living systems are connected. Our universe was "engineered" by a greater creative consciousness, possibly a highly advanced civilization of intelligent beings. Our universe is just one of many that exist. Advanced intelligent beings have visited the Earth in pre-history, as is evident in the clues left behind in monuments and vast ancient airfields. Mankind is arrogant and self-destructive. Modern civilization will not survive on its current path. A great collapse is inevitable due to economic, resource or social reasons. Modern science is currently run by a "cabal" of closed-minded, dogmatic "intellectual monopolists" whose mission is to block the advancement of real science and protect the profit interests of drug companies, vaccine manufacturers and chemical companies. Science has been hijacked by corporate interests at the expense of progress. Mankind is an infant species behaving like little children with dangerous tools and weapons. Mankind is not alone in the universe. There is intelligent life throughout the cosmos. The right to bear arms is a sacred right of self defense that shall be defended at all cost. Liberty must be protected for farmers, individuals, parents and other members of society. The Bill of Rights is a "human rights" document. Parental consent outweighs the interests of the state when it comes to medical issues like vaccines and chemotherapy. The for-profit medical system that exists today is highly destructive to human civilization and threatens the very future of it. The system rewards keeping the population in a never-ending state of disease and suffering rather than finding ways to prevent or cure disease. As a child, Mike Adams was taught gardening by his mother, and he actively participated in sowing, growing and harvesting edibles well into his teens. As a teenager, Adams worked on his grandfather's farm, operating farm machinery including the cutting, raking and baling of hay. He also worked around Black Angus cattle and learned to respect and admire many different animals. Adams' literary influences are primarily centered on science fiction writers such as Heinlein and Asimov. In addition to literary influences, Adams' counter-culture view of the world was strongly influenced by two comedians: George Carlin and Richard Pryor. "George Carlin taught me to question everything," Adams says. "And Richard Pryor taught me the value of explaining philosophical concepts in an entertaining way." Adams also credits his high school track coach and English composition teacher for nurturing his talents and teaching him self-discipline. His English composition teacher was pivotal in teaching Adams the joy of writing, a factor which strongly influenced his college education and ultimately led to his current position as a prominent global influencer of public opinion via Natural News. Several members of Adams' family were killed by the cancer industry. At the age of 15, Adams taught a computer summer camp in Kansas City, Kansas, helping introduce hundreds of young kids to the world of computers. This class was conducted on Apple IIe computers, which were popular before the introduction of the Mac in 1984. Adams was also a frequent volunteer at nursing homes, where he helped bring water to nursing home patients and helped keep them company by listening to their life stories. In college, Adams learned juggling and stage magic (sleight of hand), and performed in front of children's groups and fundraising groups, wowing children with seemingly amazing feats of dexterity and magic. While in school at his university, Adams befriended a homeless man from the UK who was an expert in street juggling. The man taught Adams how to juggling seven rings between the two of them, and Adams turned in a lackluster semester of poor grades while learning to juggle flaming batons. Later in life, Adams would post a video of himself juggling "poi" (glowing balls on long cords). In Arizona, where Adams lived for some time, he gave nutrition presentations to local high school students in an effort to raise their awareness of what they were eating. Adams has, over the years, donated tens of thousands of dollars worth of emergency preparedness food to churches and the American Red Cross. Mike Adams is widely credited for bringing the message of GMOs, juicing, organics and nutrition to the liberty movement. His presence at the InfoWars studio and his frequent appearances on Alex Jones strongly influenced the awareness of these subjects across the liberty movement. This is also evident in the fact that mere weeks after Adams announced his intention to build aquaponics systems for food production, ads promoting aquaponic production systems began to appear across many liberty websites, including Infowars.com. Adams was the first journalist to expose the fake acai berry scam (http://www.naturalnews.com/031280_acai_berries_scam.html), which eventually led to the FTC shutting down the acai operation and levying multi-million-dollar judgments against six individuals and their operating companies (http://www.ftc.gov/opa/2012/01/fakenews.shtm). In terms of freedom activism, Mike Adams achieved tremendous global exposure for his 2011 parody music video entitled, "Don't Touch My Junk," which made fun of TSA agents using Monty Python-style animation. The video went on to receive over 300,000 views on YouTube (https://www.youtube.com/watch?v=QhEMRSp7vaY), even after it was flagged as "inappropriate" and restricted from being viewed by users who were not logged in. Adams was the first investigative journalist to break the exclusive story of the GlaxoSmithKline whistleblower Blair Hamrick speaking out as the U.S. Department of Justice's $3 billion settlement with GSK was announced. (http://www.naturalnews.com/036499_Glaxo_whistleblower_bribery.html) As part of this breaking news, Adams scored an exclusive interview with Blair Hamrick. Adams led the nationwide backlash against the city of Oak Park, Michigan, which had threatened a young mom named Julie Bass with 90 days of jail time for growing a vegetable garden in her own front yard. (http://www.naturalnews.com/032960_Julie_Bass_home_gardening.html) With Adams at the helm, Natural News led a consumer activism campaign to barrage the city of Oak Park with complaints until they agreed to drop the charges against Julie Bass. The city ultimately agreed to drop the charges and Julie Bass was able to continue growing her vegetable garden (http://www.naturalnews.com/033175_Julie_Bass_Oak_Park.html). As part of the campaign, Mike Adams (the Health Ranger) published a parody video which depicted Oak Park city manager Kevin Rulkowski as being a vindictive, South-Parkian "prick" (http://tv.naturalnews.com/v.asp?v=3A4B88066D390F0EA7C2664E371269D3). Mike Adams was the leading voice of outrage in the case of the Michigan DNR (Department of Natural Resources) ordering small, local pig farmers to shoot and destroy their own pigs. (http://www.naturalnews.com/035585_Michigan_farms_raids.html) This story, like many Natural News stories, received global news coverage and was featured on DrudgeReport.com. Mike Adams has a remarkable track record of making accurate predictions about impending economic crashes and market corrections.In 1998, he began warning about the coming "dot-com crash," even while the rest of the world thought the stock market would go up forever and that the "old rules of economics" no longer mattered. The dot-com crash happened in 2001, and many stocks lost 99% of their value virtually overnight. Within 24 hours, the bitcoin market crashed by over $1 billion, losing 50% of its value in one day (http://www.naturalnews.com/039865_bitcoin_crash_prediction_mike_adams.html). Bitcoin cultists immediately blamed Adams for "causing the crash," asserting that he commanded such power over the virtual currency economy that his mere words could cause a $1 billion loss in less than 24 hours. HEALTH CRISISMike Adams was raised on the "standard American diet" and grew up being treated with antibiotics, vaccines and pharmaceuticals. He was active in sports and ran track during all four years of high school. By age 30, Adams' health was in a disastrous state, and he suffered from chronic back pain, high cholesterol, depression, hypoglycemia and borderline type-2 diabetes. This health crisis resulted in Adams attempting to learn what was causing his hypoglycemia, where, as he describes it, "I would feel like passing out just two hours after eating breakfast." The first book on health that Adams read was Sugar Blues by William Duffy. The book opened his eyes to the possibility that he had not been told the truth about health by his doctor, his schoolteachers and the community. After this, Adams went on to read hundreds of other books on nutrition, holistic medicine and healing. His favorite authors were Dr. Gary Null and Dr. Michael T. Murray. He later embraced more holistic books by authors such as James Duke and Elson Haas. The knowledge he gleaned from the study of these books eventually coalesced into the launching of Natural News in December, 2003 (then NewsTarget.com). Since then, Adams has dedicated his life to investigating and sharing the truth about health, foods, nutrition, disease prevention and the corruption and criminality of drug companies and government regulators. One of his very first stories was on the benefits of Dr. Bronner's Magic Soaps. A representative from Dr. Bronner actually contacted Adams and congratulated him on the story. In 2006, Adams was declared to be in a state of "perfect health" by his naturopathic physician. Adams regularly visits chiropractors and routinely consumes superfoods and nutritional supplements to maintain a high state of cognitive and physical health. He is a supporter and customer of the Life Extension Foundation. Adams is frequently seen in YouTube videos with a large glass mason jar holding a milkshake-looking green substance. As he once explained on the Alex Jones Show, this is his "chocolate avocado smoothie recipe" made with almond milk, avocados, raw cacao and various superfood powders. In addition, Adams has been a keynote public speaker at numerous public events, including speaking at preparedness trade shows, medicinal herb conferences, GMO rallies and the Health Freedom Expo. Adams is widely considered to be a highly entertaining and informative public speaker. He rarely speaks publicly, however, as his current work is focused on forensic food investigations. Mike Adams is a prolific producer of parodies that poke fun at corporations or public figures with the aim of pointing out their hypocrisy. In 2013, Adams announced a 12-episode contract with GAIAM TV, a network often described as "the Netflix of conscious media." The episodes are non-scripted and feature Mike Adams and Ed Group explaining fascinating scientific facts about food and health with the use of a variety of props and live demonstrations. The first four episodes covered phosphoric acid in sodas, fake food ingredients, electropollution and GMOs. They began airing in late September, 2013. Subsequent episodes are currently slated to cover Fukushima radiation, indoor air pollutants in homes, sodium fluoride and other topics. In 2013, Adams was awarded a book contract with a "major New York publisher" and is currently working on a book that he promises will be "explosive" and will "rock the food industry and force the FDA and USDA to change their regulatory practices." 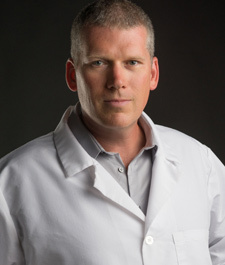 Although Mike Adams did not choose an academic route to acquiring knowledge beyond his university degree, he has read hundreds of books, listened to dozens of continuing medical education (CME) seminars, and watched instructional DVDs taught by college professors on numerous topics, including chemistry, physics and philosophy. His work is widely considered to be "beyond doctorate level" in many areas, including computer science and nutrition science. Adams is the director of the Natural News Store facility which is certified organic by the USDA. As part of this function, Adams helps formulate nutritional products, assesses raw materials for suitability and quality, and adheres to USDA standards for organic food production, labeling, marketing and raw materials tracking. In 2013, Adams announced he was heading up the Natural News Forensic Food Laboratory, a food investigations lab located in Central Texas. It is believed that Adams has partnered with a private lab to use their facilities which are then re-branded the "Natural News Forensic Food Lab." Adams has promised "astounding" new findings from the Natural News Forensic Food Lab by the end of 2013. "You are a great ally and a non-GMO hero. Thank you so much for everything -- your generous donation, your rap video, news coverage, etc. You light people on fire. It's a great gift to the world, and you've been a great gift to our work." "Mike Adams is the best health and natural products writer on the scene today." "Mike Adams is one of the few real investigative reporters out there. This honest man took the responsibility on his own time and money to investigate the multitude of issues surrounding the destruction of the private food club in Los Angeles California called Rawesome Foods. I owe much to this man for defending the actual "Truth" by spending many months uncovering the lies and false claims made by many people. He is an independent thinker who continues to work every day to help raise the awareness of many of the current issues plaguing our society today. His articles inform and educate in a time where finding the truth is becoming more difficult to attain." "Mike Adams is a friend of mine and a man of integrity. Mike comes from the heart and shoots from the hip. In his Natural News.com online magazine, Mike offers insights, facts, humor, and shocking news that truly enlightens his readers to the ways we are being hoodwinked by big business in America. He takes a hard stand against the out-of-control-use of pharmaceutical drugs and offers safe and natural alternatives. Mike walks his talk and is a true inspiration to me." "Mike Adams is one of America's great journalists and freedom fighters. His ability to deliver important leading edge nutrition and healing information is unparalleled in all of journalism. Over the years, not only have I learned to respect and consider Mike Adams' opinion in all areas of nutrition, I have also found the scientific facts he references about his subject matter to be consistently accurate. I am honored to know Mike Adams personally. Every time I get to read his words or see him speak, he makes my day The Best Day Ever! He can do the same for you!"